Distinctive, species with short, conical leaves arranged in tight whorls of five. The new plants grow on the tip of rigid, ascending stolons produced at the base of the stem. 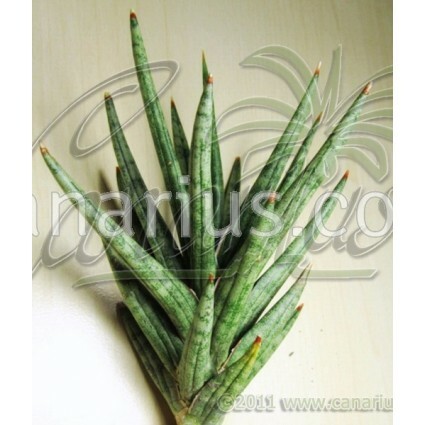 Sansevieria francisii is a slow but easy growing species, with conical, 10cm. long leaves, stacked on a short stem in rows of five and tipped with a fierce spine, gracefully cross banded. Best known as “S. sp. FKH 432” was collected in Kenia by Frank Horwood in 1982 and described as a new species by B.J.Chahinian in 1995. Free flowering, suitable for baskets. 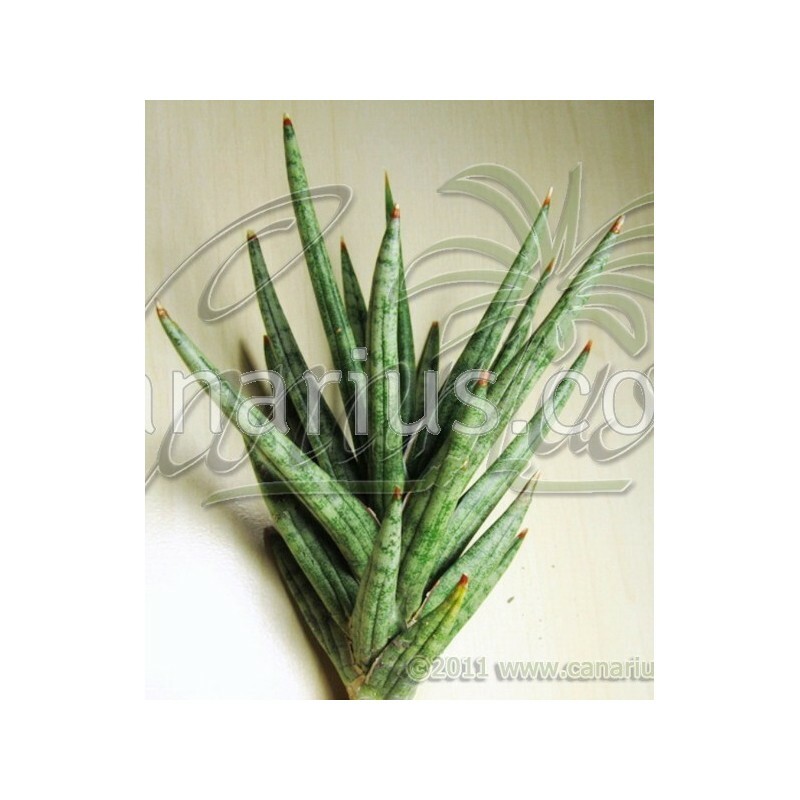 We ship: plantlets with own roots in 6cm. pot.